Visited by millions during the spring and summer months, Bermuda is atop every traveler’s must-do list. Wopnin? February is right around the corner. Everyone will be tuning into Super Bowl LII. Soon thereafter, the clocks will be changing back ahead one hour. Late April brings about the beginning of another Bermuda cruising season. Bermuda, or The Rock, is among the most popular spring and summer destinations. Whether by cruise ship or by airplane, Bermuda has plenty for everyone to experience. There’s plenty of recreation, adventure, and yes, a hint of mystery. Bermuda is the island in the middle of the Atlantic Ocean with so much action to offer. For anyone who has never visited Bermuda before, a new lecture is the way. It will take travelers on a journey around the island, both on the ground and from the air, to discover the great wonders of this amazing destination. Characterized by vortexes, time warps, and mirages, the Bermuda Triangle captivates the human imagination to this day. While on the island of Bermuda, what should everyone be aware of? First, the Bermuda Triangle may be a myth, but it is true. The Bermuda Triangle stretches like a triangle from Bermuda, to Miami, to Puerto Rico. Within that region, airplanes and ships of all types have believed to have vanished into thin air. Those events bring the mystery of the Bermuda Triangle into the spotlight. What is the connection? What scientific proof makes such an area in Atlantic Ocean the most sought after mystery in modern history? The lecture will shed light on that for sure. On Bermuda, the pink sand beaches are among the island’s great natural wonders. On Bermuda, what great experiences should everyone forward to? Bermuda has a smorgasbord of great adventures and experiences. These adventures and experiences keep visitors by the millions not just well-entertained, but guessing what lurks around the corner. Bermuda is home to its iconic pink sand beaches. Where else in the world could anyone find pink sand? The pink sand has a geological history all its own. The pink sand beaches are among the great icons that put Bermuda on the map. Beach goers who sink their toes into pink sand are sure to visit Bermuda time and again. The pink sand make Bermuda’s beaches among the most romantic locations in the world. Aside from the pink sand beaches, scuba diving and golf are two other great forms of recreation on island. Scuba divers visit dozens of ship wrecks that surround the island. The Bermuda Triangle may sound a bit captivating, but scuba diving is a huge craze among Bermuda visitors. Scuba diving is for those visitors with great curiosity. For those who have an adventurous side, scuba diving is the way to go. It is the sport which has every visitor guessing what could they find beneath the waves. If no one has shaken hands with a dolphin or with a turtle, scuba diving is the perfect way to do so. 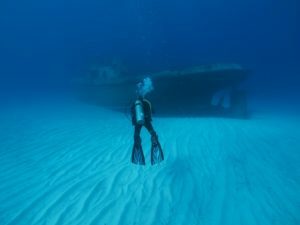 Scuba diving is the water sport that makes any great day around Bermuda well worth it. For those who crave adventure, Bermuda is a scuba diver’s paradise. Golf is truly a sport for all Bermudians and visitors. With so much water surrounding the island, it does make a tough water hazard to avoid. That’s why golf is among the great sports played on Bermuda. The game itself, the wind from the ocean, and a true golfer’s spirit make it the island’s greatest game. For whose who like to get into the “swing” of things, golf is the perfect activity to appreciate. It brings out the joy and energy in all visitors and Bermudians alike. Golf is a game played with great respect. As friendly as Bermudians are, the game of golf makes life on Bermuda friendly all season long. 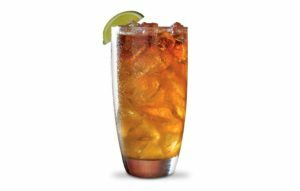 Dark ‘n’ Stormy, an iconic drink on Bermuda, is made of Black Seal Dark Rum, ginger beer, and garnished with a lime wedge. On any day on the island of Bermuda, visitors should be on the lookout for verbal expressions. Every island has their own twist on everyday vocabulary. On Bermuda, everyone should be aware of the term “Bermy”. “Bermy” is short for Bermuda. 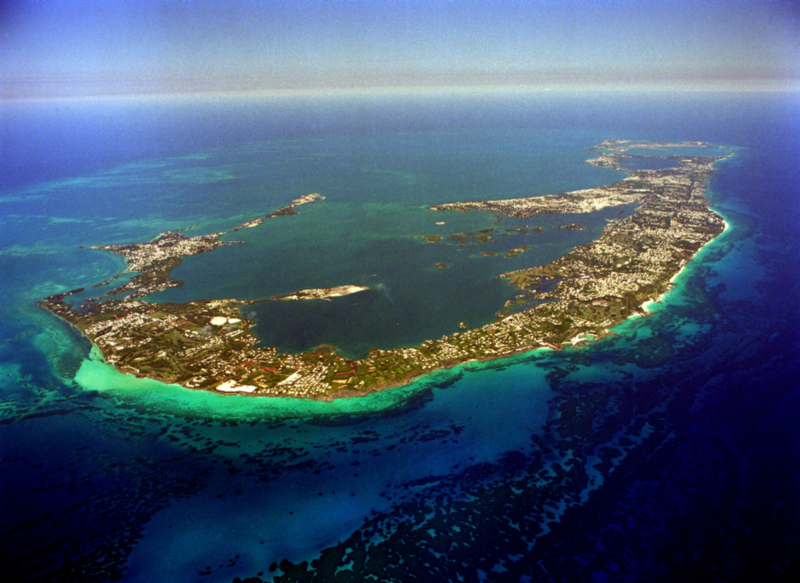 Bermuda was first discovered by Spanish explorer Juan de Bermudez in 1505. The island was named after him in 1511. Another favorite among verbal expressions include “Wopnin?”, short for “What’s happening?”. If someone says, “Wopnin?”, at no time should anyone feel embarrassed to respond. Anyone thirty for a drink at the bar? Visitors should be aware of when a bar tender or server brings up the word “Black”. “Black” is the shortened term for Bermuda’s well-known Black Seal Rum. Black Seal Rum is an essential ingredient to two famous drinks on Bermuda; Dark ‘n’ Stormy and Rum Swizzle. Black Seal Rum is used in making Rum & Coke. Anyone who asks for a Rum & Coke, it’s appropriate to ask for a Black & Coke. Bermuda is an island of never-ending wonder. It is an island destination for the adventurous and the curious. Whether enjoying golf, scuba diving, or treading the pink sand between the toes, it’s an island that welcomes millions. But beware, the Bermuda Triangle is real! It is the perfect island destination where anyone can conveniently “disappear” to. Bermuda is the island where verbal expression is a way of life. No one should ever forget to order a Black & Coke. Further, no one should ever feel embarrassed to ask a friendly local, “Wopnin?”. “Bermuda: Life beyond the triangle”, will make its debut in March 2018.